Labels are helpful. They take away the guesswork and make life easier. When looking at our ever-decreasing storage capacity on our Macs we see: Apps, Movies, Audio, Photos, and Backups. Then we see Mac’s storage "Other". And we’re confused. And we’re annoyed. And we’re wondering why it’s taking up some much of our precious storage space. 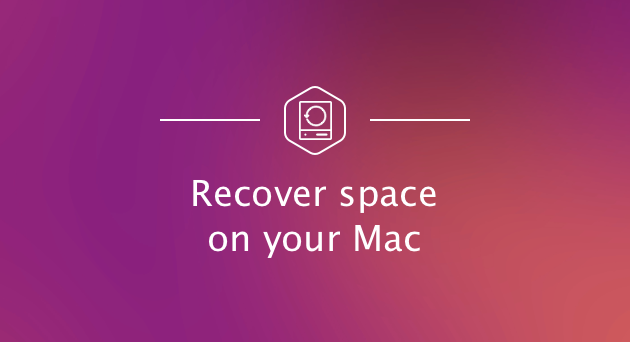 To help you get that disk space back, let’s figure out what Other Storage is and how to remove Other from your Mac. What is Other on Mac Storage? Documents like PDF, .psd, .doc, etc. macOS system and temporary files. Cache files like user cache, browser cache, and system cache. Disk images and archives like .zip and .dmg. Everything else that doesn’t fit into the main macOS categories. What’s this? A song? An unknown archive? Why on Earth it weighs 200 MB? You can’t entirely get rid of Other on Mac but you can reduce how much storage space it takes up. We’re now going to look at each of the six types of Other files and show you how to clean up your Mac. We’re going to walk you through deleting useless documents, junk system files, system slowing cache files, old backups, and all sorts of other junk. You might not think that pure text documents take up a lot of space but you may be surprised at the size of some .pages and .csv files. And that’s before you start adding images, downloading ebooks, and creating big presentations. Soon your Other documents can start to get out of hand. From your desktop press Command + F.
Click the first dropdown menu field and select Other. From the Search Attributes window tick File Size and File Extension. Now you can input different document file types (.pdf, .pages, etc.) and file sizes to find large documents. Review the items and then delete as needed. Luckily, there’s a much quicker and more thorough way. By using a CleanMyMac X you are presented with a clear view of all the massive files occupying your Other space. Now, review the results broken down by different categories: archives, documents, movies etc. Look through your files and delete the ones you no longer need. What’s great about this method is that you can sort the files by their size and thus free up space most effectively. And there’s a special category for Other files that don’t fit into either category. These files can be also moved to another folder/separate disk or could be removed securely. In addition to this, you can empty up a few more gigabytes taken up by Dropbox folder and your Trash. You can download CleanMyMac X here (it's free to download from developer's site). In the top right bar (where the time and language is displayed) you’ll find a small Mac icon that takes you to the CleanMyMac X’s Menu. No try it and see how it helps you slim down Other storage on Mac. Deleting your old files alone can recover you tons of space, but there are more space hoggers that fall under the Other data category. Every second your Mac is on, the macOS creates and piles up system files — logs, for example. At some point, the system needs these files, but they quickly become outdated and just sit there wasting your disk space. And guess what, they are in the Other Mac storage category, too. These files are mostly temporary but they never actually go away unless you do something about it. The difficulty is that Apple hasn’t made it easy to clear out system files. There’s a good reason for this – people often delete things they shouldn’t. To manually find where a majority of apps temporary files live navigate to ~/Users/User/Library/Application Support/. In this folder you will find your applications and some searching will reveal a lot of space being taken up. For example, your may have gigabytes worth of old iOS backups in ~/Library/Application Support/MobileSync/Backup. 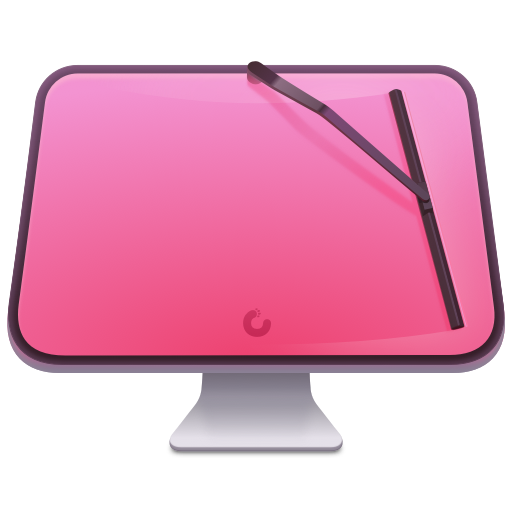 You could delete these manually but a much safer and faster method is to use a specialist cleaning app like CleanMyMac X. It has a System Junk module that specifically looks for useless system files and knows what’s safe to delete. Go to System Junk in CleanMyMac. That’s pretty much it. Seriously. If this is the first time you ever cleaned your Mac, you’ll see that the OS X Other storage tab has shrunk considerably after the system junk cleanup. Using this method I was able to additionally delete 4.75 GB of "System Junk" from my MacBook. Cache files are not just another invisible storage hog. They are often one of the worst offenders, often taking up gigabytes of precious space. The three main types cache are – browser, user, and system. Cache files are meant to help your system work faster, but over time they get bigger and bigger, eventually slowing your system down. Navigate to Go > Go To Folder. Type in ~/Library/Caches and click Go. 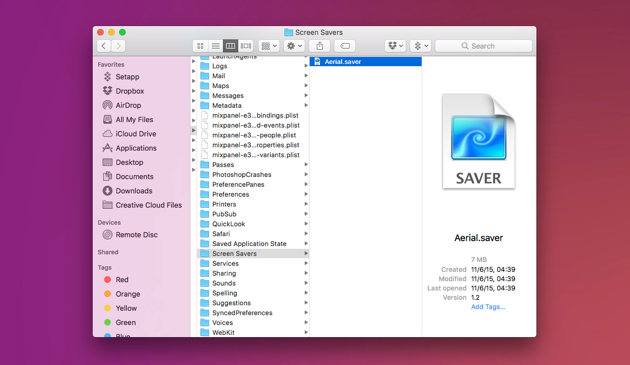 Click-hold Option and drag the Caches folder to your desktop as a backup in case something goes wrong. Select all the files in the Caches folder. Drag them to the Trash. Follow the same steps for /Library/Caches (without the “~”) and ~/Library/Logs. 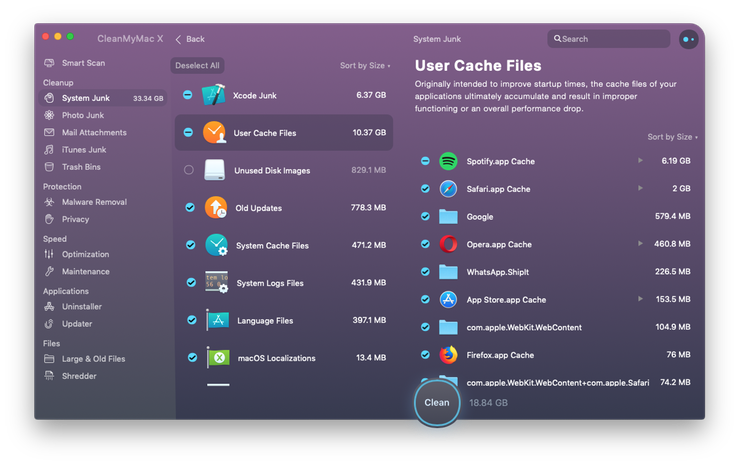 Cache files sit in numerous folders, and with a little patience, you can clean them out manually (read more detailed instruction on clearing cache). Did you know: Each time you rotate an image it’s copy is automatically created on your drive. So, just 4 rotations are enough to turn a 2.5 MB file into 10 MB of disk space occupied. 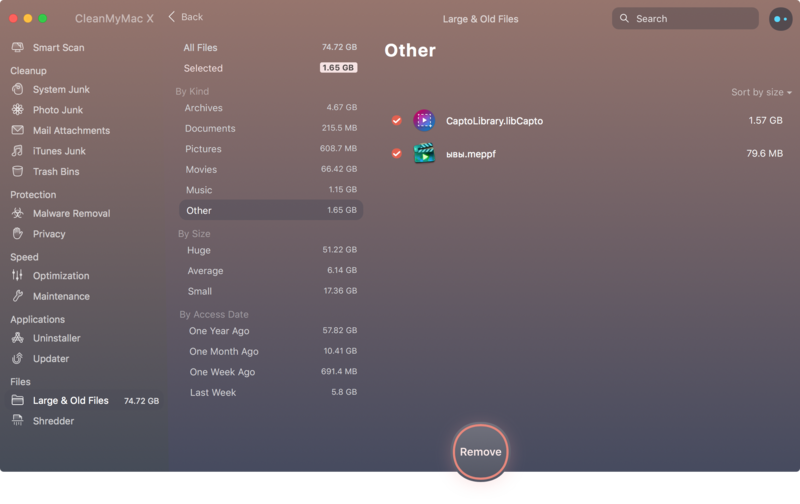 For those who don’t have the time or are worried about deleting the wrong files, CleanMyMac can quickly and safely do the job. This will clear all the cache files on your Mac and considerably reduce Other storage on your Mac. While apps are, unsurprisingly, categorized as Apps on the Storage bar, their add-ons are under the Other storage category. Compared to some types of files, app plugins and extensions probably won’t take up as much of your Mac's Other space. Still, every bit counts. Since extensions can sometimes cause other problems on your Mac, why not remove the ones you don’t use to be safe and free up some extra Other storage space at the same time? Tracking down all your add-ons can be a hassle. Some you’ve forgotten you had (like that nCage extension for Chrome), others you didn’t know of in the first place. Here’s how to manually remove extensions from Chrome, Firefox, and Safari. Select the extension you want to target and uncheck “Enable” to disable or click “Uninstall” to remove. Click the three dot icon in the top-right corner. Click More tools > Extensions. Disable or remove as you choose. Click on the burger menu in the top-right corner. From the Extensions and Plugins tabs disable and remove whatever you want. Important! If you’re not sure what a plugin does, don’t rush to remove it. Try disabling it first and see if your apps and your system work as expected. You can always remove that add-on later. Also note that Chrome extensions can’t be deleted automatically. But if you’d like to get rid of them, we’ll list these extensions for you and tell how to do that manually. Normally, archives and images are files you keep for a reason. However, if you think you might have accumulated some useless .zip and .dmg files on your Mac, then you should definitely clear them out as well. Type DMG/ZIP in the search field. Sort the results by Size. 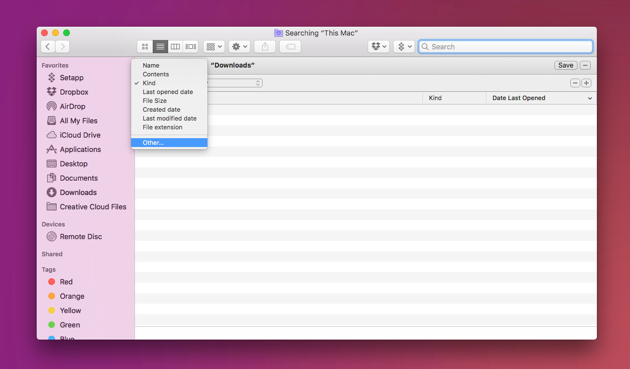 Finder will show you all files of the format you’ve specified, sorted by size. You can clean out those you don’t need. 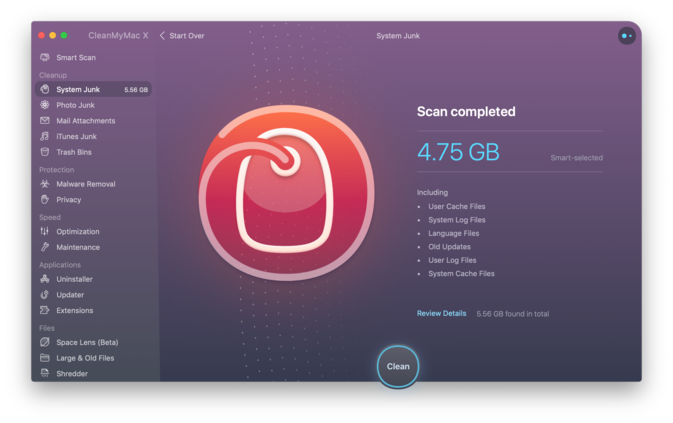 To safely and easily remove all your old unused disk images, CleanMyMac X has a dedicated tool within the System Junk module. Everything is categorized so you have a better understanding of what you’re removing. Now you get a detailed overview of some ultra-specific categories of files that are normally invisible to you. Among those you’ll see Unused Disk Images (another name for DMG installations). Then, there’s Old Updates — you would like to remove those too. Old Updates are past versions of update packages that you already got installed. Do you often use use graphic editors like Photoshop or Sketch? Then, you’ll probably be fascinated by Document Versions feature. If you click on Document Versions tab (System Junk > Scan > Review Details), you’ll be able to see how much of your space is taken by large document re-edits. Imagine a 60 MB Photoshop file cloned 10 times with just slight differences. In CleanMyMac X you can delete these intermediate revisions. And, handy enough, the program keeps just the original file and its final revision on the drive. Even Other storage space has its own “other” files and no, the irony of that statement is not lost on us. Files in your user library (screen savers, for example). Files Spotlight search doesn’t recognize. Type this: ~/Library/Screen Savers and click Go. You’ll see the screen saver files now — they are lightweight, but for the sake of being thorough, you can trash them as well. As for files Spotlight doesn’t recognize, they are rare. They could include files like Windows Boot Camp partitions or virtual machine hard drives. If you don’t recall putting anything like that on your Mac, you probably have nothing to look for. Some apps, like Daisy Disk or CleanMyMac create a visual map of your entire drive. It’s an amazing way to see your Mac as it is under the hood — with bubbles of different sizes representing each file category. But what’s most important, you can delete your useless files right from there. How much can you expect to delete from Other storage on Mac? You’ll never remove Other data section from Mac entirely, nor should you want to. It’s perfectly fine to have space taken up by necessary files, whatever category label they have. What is not okay is valuable storage space being wasted. Download CleanMyMac and follow the steps in this guide to clean gigabytes off Other storage on your Mac. How to Remove Universal Binaries on a Mac?